Zhangjiajie is famous for. its exquisite forests, which are home to huge, leaf-covered stone pinnacles that rise right from the level ground. Zhangjiajie situates in the northwest of Hunan province,sharing border with Hubei province,Sichuan province and Guizhou province,deserve favourable geological and weather condition which give rise to the diversity of local speciality. 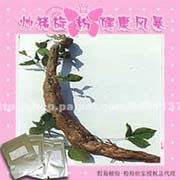 Zhangjiajie’s .specialty is the Three Treasures (Pueraria Powder, fern root powder, rock ear) and a must (Eucommia Tea). 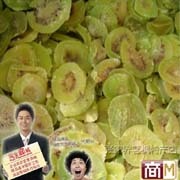 In addition, wild kiwifruit is also very good; Sangzhi salt tofu is a tribute to the Qing dynasty, may wish to try; can also buy some of the Tujia flavor “Spicy Girl Hot Lap” series of food to take home. Souvenirs, it can have a choice to buy some turtle Wen Shi, Tujia paste painting, Tujia brocade, etc., in the scenic area, and the city souvenirs shops and stalls can all see, but to pay attention to distinguish the quality of a bold bargain. 3, in the mountains there will be local people to sell the “millennium man-Shou Wu,” All is false, do not buy. People’s Square Walking Street:People’s Square in Yongding (Po Kwong Temple nearby), is a major tourist pedestrian street goods. Emperor Street:Wulingyuan area in Wuling Road, is native to the main pedestrian street sales. Description: system used roots, branches, leaves, bark and gravel, grass moss, cloth, etc. as a raw material paste into the figures, landscapes, animals, flowers and various elements of the painting. Paste the paintings to the territory of beautiful landscapes and Tujia-inspired theme, full of dimension and realism. Description: also known as .“Xi Lan Ka Pu.” Tujia people’s marriages and funerals, tokens of love, love, friends, gifts, home decorations, costumes, are inseparable from the tapestry. Because of its unique technology, brocade products have been listed as a tribute. Ethnic tapestry bags, tapestry bags, beautiful tapestry wall and all kinds of crafts, all urban areas in scenic and buy souvenirs. Description: GE in the Wuling mountain slopes into the wild, arrowroot powder from refining. Food, use boiled water, served with sugar, fried rice taste better. Can also be fried with meat, food, food for the gallery. Pueraria Powder has Jieshu, stomach, qi tonic and other effects. Special Reminder: Pueraria powder best buy in regular supermarkets, or sweet potato flour may be purchased fake Pueraria powder. General Bulk 7 yuan / kg. Description: also known as .shi’er, growth in the Wulingyuan scenic sandstone cliff. Rock ears have to clear the fire hot nourishing function, and meat to make soup or stewed chicken, delicious, ancient as a tribute. Zhangjiajie scenic spots are sold. Description: Eucommia is a Chinese herbal medicine, is to Eucommia Eucommia Tea made from leaves as raw material. Consumption of a variety of anti-obesity, in addition to inhibition of high blood .pressure, improve hypotension. According to a different approach, brown with green, yellow, reddish-brown of the points. Special Reminder: identification of Eucommia Tea true and false way is there Eucommia Eucommia Tea flavor as well as drawing, no fake tea. Description: December game will be by the Zhangjiajie mountain boar, Jizi salt brine tanks and other packages in the half drunk, hanging out in smoky grilled heated kang made, can be used as dinner guests the finest cuisine. More well-known game are: wild boar, hare, Tujia wax, mutton, beef door days, flying fox carving, bamboo root pigs. Description: Sangzhi salt tofu is well-known local products. Qing emperor Xianfeng Sangzhi County tofu tofu industry, salt production, selling Changsha, Wuhan, Guangzhou, MILL, and has as a tribute, famed capital. Can now be purchased in various specialty shops can also be tasted in a restaurant. Description: Jin Xiang .Pummelo chrysanthemum heart and quite well known, is the name of pomelo, produced in the territory of Zhangjiajie. Chrysanthemum heart grapefruit produced in Yongding, Hong Jin Kim, Hong grapefruit grapefruit produced in Cili County, two kinds of sweet grapefruit, water well, and appearance. Description: Turtle Wen Shi generic .“multi-walled corallite Huayingshan”, rich in Tianzishan other places. Complex multi-angular design body, hexagonal, closely resemble tortoises. Wen Shi made with turtle stone turtle, stone and various stone jewelry, and other research, handsome in appearance, may wish to select the area home. Kudzu root powder: Zhangjiajie has rich resource of Kudzu, which is local people’s favorite food; it can be easy taken with boiled water. It has medical functions: clear irascibility, clear the heat and toxin; strengthen stomach, balance Ying and Yang.